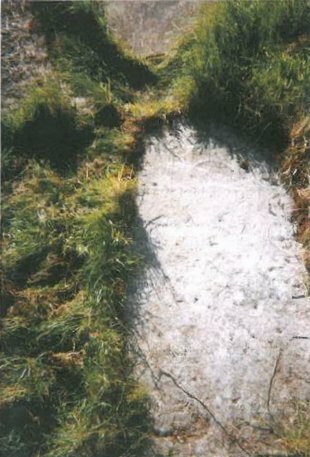 Many of the graves of Kiltacky are unmarked or marked by simple stones. The majority of Surnames on gravestones are families who have lived in neighbouring townlands for generations. 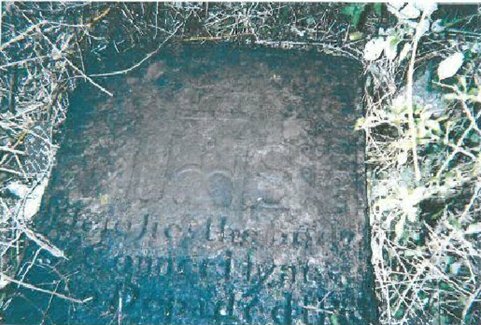 The oldest inscription in the graveyard dates from 1794 for the Hynes family. There are 20 inscriptions in total dating from the 1800’s. The following pages contain a list of graves indicated on the diagram overleaf. Headstones are important features of the historic landscape and frequently provide information to understanding our past. Kiltacky Church and Burial Grounds hosts many fine examples of 18th, 19th, 20th and 21st Century graveslabs and headstones. 1 Conlon In loving memory of Mary Conlon Coolourty, Died 11 May 1970 Aged 96 Years RIP. Erected by her son John Purcell. 6 Unknown Baby John Died June 1983 at 2 Months. 9 O'Donoghue In loving Memory of Nora O�Donoghue, Kilkeedy Died 8 January 1946. Her Husband Patrick Died 5 May 1962. Their Sons Frank & Thomas Died 23 April 1984 & 4 October 1983. Their Daughter in Law Ita O�Donoghue Boston Died 12 April 1986. Her Husband Michael, Died 12 January 1994. Their Son Gus, Died 28 May 1997. Jack died in Bournemouth 8 June 1992. [Plaque] In Loving memory of Baby Fidelma O�Donoghue 11-11-1985 RIP. 16 Unknown Zac Much loved Son of Sylvie & Dave. Born 15-5-1990 Died 9-11-1990. 26 O'Donoghue In loving memory of Michael O�Donoghue, Ballybroughan, Sixmilebridge Died 23-May 1986 Aged 34 years RIP. Erected by his loving Wife Chris. 27 O'Donoghue In Loving memory of John Joe (Crown) O�Donoghue, Aglish. Died 16 May 1982 Aged 72 years. His Wife Mary died 9 Nov 1997 Aged 78 years. Their Son John Joe Died 9 Oct 1996 aged 55 years RIP. 28 Mullins In Loving memory of Michael Mullins Kiltacky. Died 29 Nov. 1980 Aged 66 years. His Daughter Marion 8th may 1957 Aged 5 years. His Wife Nora died 14 Oct 1987 Age 67 years RIP. Erected by his Wife & Family. 32 O'Grady In loving Memory of Rose O�Grady (Nee Waters) Turloughmore, Died 13th August 1988 Aged 77 years. Her Husband Michael (Mick) Died 14th Feb 1999 Aged 86 years. May they rest in Peace. 33 Lee In Loving Memory of Sarah Lee, Quakerstown who died 20 June 1979. Also her Husband Michael who died 23 Nov. 1979. RIP. 40 Moracy [Graveslab] O Lord have mercy on the soul of Bride Moracy alias O�Donoghoe who departed this life Oct. 17th 1811 Aged 63. This Monument was erected by her husband William Moracy for him, her and Posterity. 55 Ruane In Loving memory of Patrick Ruane Died October 1928 Aged 58 years. And of his Wife Annie Died Sept 1908 RIP. Erected by their Sons. In Loving Memory of John & Catherine Ruane, Tiermanagh. Their Son John Aged 10 years. Their Son Patrick Died 22nd Nov. 1983 Aged 76 years. Their Daughter Norah Died 27th Aug 1991 Aged 70 years. Their Son Peadar Died 29th July 1990 Aged 76 years. His Wife Catherine Died 7th Jan 1992 Aged 71 years. Rest in Peace. Erected by Gerard, Margaret and Family. 58 Flaherty Pray for the soul of John Flaherty Died 30th Nov. 1974 R.I.P. Erected by his Sons & Daughters. Patrick Flaherty Died 15-5-87 Aged 36 R.I.P. 59 Flaherty In Loving Memory of John Flaherty. His Wife Ann and Son Michael R.I.P. 60 McMahon In Loving Memory of Patrick McMahon, Pouleenabouna. Died 21 Feb. 1994. His Wife Ellie Died 27 March 1979. 61 Quinn In Loving Memory of Michael Quinn, Killenmacooca who died 18th Jan. 1917, Aged 68. Of His Wife Mary who died 10th June 1910 Aged 51. And of his Son Nicholas who died 1st October 1916 Aged 21. Also their Children Bridget Died Nov. 1st 1960. Michael Died Nov. 6th 1964. James Died July 22nd 1965. 62 McMahon [Graveslab] This Monument was erected by Walter McMahon. In the Memory of Michael McMahon his Father who died Feb. 1840. Also his Son Martin McMahon who died March ? Aged 62 years. 65 Hynes [Graveslab] This Tomb was erected by Edmond Hynes Son of Edmond Hynes of Roughan in the year ? For him and Posterity. 67 Conroy Sacred to the memory of Michael Conroy who departed this life Dec. 27th 1859 Aged 48 years. Erected by his Sons Michael & Patrick Conroy. May He Rest in Peace Amen. For Bridget Conroy and Posterity. In Loving memory of Tom Conroy Kilkeedy. Died 17th Jan. 1948. His Parents Patrick died 3rd March 1970. Margaret died 24th October 1970. His Sister Rita interred in France died 8th Jan. 1983 RIP. Erected by his Parents Patrick & Margaret Conroy. 68 Walsh In Loving memory of Paddy Walsh Kilkeedy, Tubber. Died 16-May-1983 Aged 50 Years RIP. Erected by his Wife & Daughters. In Loving Memory of Mrs. Bridget Walsh Kennedy, who died August 3rd 1966. Her Daughter Kathleen died July 11th 1939. Timothy Walsh died May 5th 1973 RIP. 70 Walsh Erected by Martin Walsh in memory of his beloved Father. Thomas Walsh Died February 22nd 1868 Age 53 years. May He Rest in Peace Amen. 71 Walsh In Loving Memory of Michael Walsh Turloughmore. Died 21-Feb 1968. His Wife Mary Died 9th June 1995. 75 Flaherty In Loving Memory of Mrs. Mary Flaherty Leitra who died 1902. Her Husband Michael died 1912 and her Two Sons Patrick died 1920 and James died 1949. Jesus Have Mercy RIP. 78 Walsh Sacred to the Memory of Michael Walsh who departed this life. May 8th 1863 Aged 40 years. Erected by his father Bartholomew Walsh for him & Posterity. RIP. 89 Conroy [Graveslab] Erected by Patrick Conroy and Wife Mary Hynes for Michael ? 99 Divany Erected by Luke Stephenson Gort In Memory of Michael Divany of Caherlough and his Wife Mary Divany. Also his Daughter Mary Fahey of Baltimore U.S.A. but late of Gort who died 12th of March 1900 Aged 55 years. Requiescant in Peace. 105 Brogan In Loving Memory of Michael Brogan Boston, who died 30th May 1930 Aged 23. And of his Grandmother Anne died 10th Nov. 1902 Aged 54. And of his Grandfather Patrick died 14th Mar 1892 aged 54. Michael Brogan died 11th Jan 1964 Aged 82. Thomas Brogan died 11th Feb 1972 Aged 66. Ann Brogan Died 29th September 1946 Aged 67 RIP. In Loving Memory of John Joe Brogan, Boston died 17th June 1993 Age 76 years. His Wife Margaret (Dolly) died 21st April 1998 Aged 71 years RIP. 118 Hardy / O'Loughlin Erected by John Hardy in memory of his Father and Mother. Also his Daughter Mary and his Son Michael. Also Patrick Hardy George O�Loughlin died 27th July 1982 RIP. 119 O'Rourke Erected by Patrick Francis O�Rourke San Diego California in memory of his Father, Mother, Brothers and Sisters. Also his Sister in Law Mary O�Rourke. 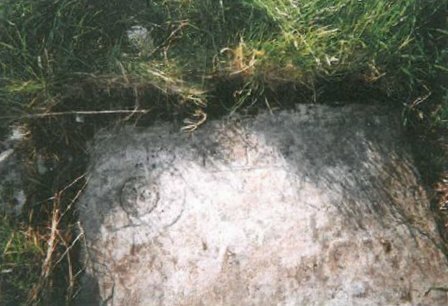 131 Donoghue [Graveslab] This Tomb Sacred to the memory of ? Donoghue who departed this life on the 26th Dec 1826. 136 McMahon Glynn In Loving Memory of James McMahon Carrownagoul died 21 April 1945 Aged 50 years. His Wife Bridget (Delia) died 18 July 1988 Aged 81 years. Erected by John McMahon In Loving Memory of his Father, James McMahon who died June 27th 1894 Aged 82. Also his Mother who died Sept. 24th 1893 Aged 75. And his Sister Nora who died April 19th 1894 Aged 35. John McMahon died 4th Sept. 1901. His Wife Bridget died 8th Jan 1939 Aged 88. Nora (Honor) Glynn died 1st Nov 1953 Aged 84. 145 Keane Pray for the soul of Bridget Keane who died 22nd October 1904. Aged 56 years Erected in Loving Memory of her Husband Michael Keane and by her Children. May they Rest in Peace, Amen.